With ten years of moviemaking on the line and a massive world at their fingertips, The Russo Brothers seemingly did the impossible with Avengers: Infinity War. The co-directors crafted an epic and sometimes horrifying story, while still balancing character-driven beats and emotional moments. Surprisingly, Infinity War was mostly about Josh Brolin’s Thanos, who had been sitting in the periphery of MCU for years. A lot of times when you work on a movie of this scale and you end up with a 250-page draft, it’s the bible for the movie. You gain a lot of information. You write characters out in a way that you start to understand what it is they want. I think writing out Thanos’ narration gave us insight into who he was as a character and what we wanted him to do in this film. So then it was much easier once we started pulling all that out to make it subtext for him as a character, and to make a more linear structure. Well, that’s fascinating. 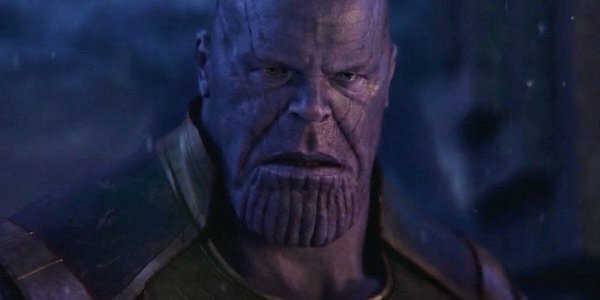 It looks like Avengers: Infinity War could have been even more focused on Thanos’ POV, as he was originally going to narrate the massive crossover film. While this is a concept that was eventually abandoned, its a process that seemed to have informed his actual appearance in the film. Joe Russo’s comments to Collider help to get inside the perspective of the Brothers, as they crafted the expansive and ambitious blockbuster. The co-directors had a ton of characters and settings to utilize, all while Thanos methodically gathered each Infinity Stone. As such, plenty of sequences were planned and cut, with major concepts falling to the wayside in the process. That includes Thanos’ try at narration. Narration isn’t a framing device that the Marvel Cinematic Universe typically uses much. There have been some examples; Iron Man 3 allowed Tony Stark to speak through his adventure, although it was later revealed to be a giant therapy session with Bruce Banner. But typically, MCU installments present the facts without going through one character’s eyes and mind. As such, having Thanos narrate would have been a bold choice for Infinity War. The idea of Thanos narrating also makes sense, given that the character didn’t have much onscreen time prior to leading the film. Sure, he had a brief shot at the end of The Avengers, but his tertiary role in the first Guardians of the Galaxy was the only true appearance of note. Thanos narrating Infinity War would have instantly helped the audience connect with the Mad Titan, possibly understanding his apocalyptic quest. In the end, we learned about it through Gamora’s flashback, and Thanos’ dialogue. Making Thanos the main character of Avengers: Infinity War was a bold enough narrative choice, and it’s one that seems to really have paid off for The Russo Brothers. The Marvel Cinematic Universe has been criticized for its lack of fleshed out villains, as they mostly function as guest actors who appear in just one movie. Sure there are exception like Loki and Black Panther‘s Killmonger, but Thanos’ emotional journey was one that brought him to the top of Marvel’s rogues. Thanos’ mission was one of destruction, where he claimed tons of lives throughout the course of Avengers: Infinity War. In addition to the final finger snap that wiped out half the galaxy, audiences were left to watch in horror as the Mad Titan murdered Loki, Heimdall, The Asgardians, and his daughter Gamora. But he truly thinks he’s doing the just thing, and that wiping out half the galaxy is the only way to ensure its survival in the wake of mass overpopulation. Furthermore, his motivation comes from seeing his own planet destroyed due to these conditions. Using the powers of the Reality Stone, we see Titan’s former glory, before it’s returned to desolate wasteland that serves as a battleground in Infinity War. And his decision to kill Gamora is one that causes him enough pain that he earns the Soul Stone from Red Skull. Thanos’ quest isn’t easy, and he suffers to in order to “save” the galaxy. Joe Russo’s comments are sure to excite the many moviegoers who were taken with Josh Brolin’s performance as Thanos in Infinity War. As to what Thanos’ narration contained, that’s yet another mystery surrounding the movie. While the Russo Brothers probably have those early drafts, they’ll likely never see the light of day. As such, we have to hope that Joe once again gets chatty, and reveals more about the near-narration by Josh Brolin’s menacing character. It’s been a number of months since Infinity War arrived in theaters in April, and fans still have no clue what to expect when the narrative picks up in Avengers 4. Ant-Man and The Wasp and Captain Marvel will do some set up, but what came after Thanos’ finger snap of death is a total mystery. Some rumors indicate there might be a time jump, allowing the destructive force of the Infinity Gauntlet to settle and change the Marvel world. As for Thanos, the Mad Titan may be without a purpose, and living with the guilt of killing Gamora. It would be fascinating to see if he has some sort of existential crisis, and how he function without the Black Order and his daughter by his side. He’ll also be thrown back into action, as it’s unlikely that the surviving Avengers are going to let his destruction go unpunished. Thanos’ finger snap killed such a massive number of characters, that most moviegoers are expecting it to be reversed sometime throughout the course of Avengers 4. How is a mystery, although time travel has become the most popular theory. And with Scott Lang trapped in the Quantum Realm and its unknown possibilities, the groundwork is laid for things to get wild in the final installment of Phase Three.